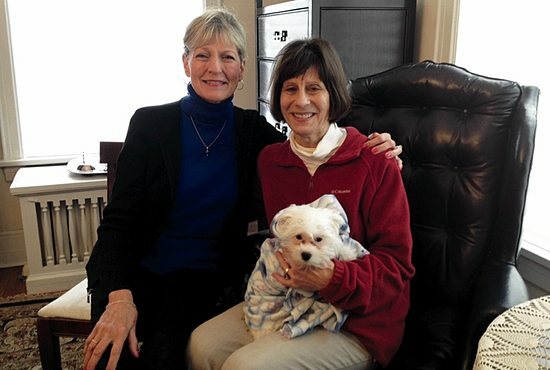 Since their daughters were second-graders at Nativity School 25 years ago, the lives of Cathy Messina and her friend, Kathy, both in their 60s, have changed in significant ways, including with Kathy’s diagnosis of early-onset Alzheimer’s disease a few years ago. [Kathy’s family requested that her last name not be used.] The two friends’ love and compassion for each other have not changed. Messina is among Nativity parishioners who are getting involved in a community training program called Dementia Friends to learn how to better understand and care for those with Alzheimer’s and other forms of dementia. As part of the free training, offered by a collaborative called St. Paul Neighborhoods ACT on Alzheimer’s, which Messina attended this fall at the parish, she learned ways to interact with Kathy. Messina said Kathy needs to be with those who love and care for her. The two friends get together every few weeks. Jacob Weinstein, a 15-year-old freshman at St. Thomas Academy in Mendota, recently lost a relative to Alzheimer’s. And although he no longer can help his relative, Weinstein said he hopes to learn how he can help others in the future. He plans to attend Dementia Friends training in January, so he can raise understanding of the disease at his parish, Nativity of Our Lord, as well as his school and Boy Scout troop. His 12-year-old sister, Edie, has been sharing what she learned at Dementia Friends training with Nativity School teachers and classmates. “If I had some form of dementia, this is the kind of thing I’d like people to do for me, and I also think it can bring community [together] helping each other out,” Weinstein said. Messina said her friendship with Kathy has brought her to a deeper level of spiritual strength. She prays that God will give her the wisdom to continue growing with Kathy.